Wisdom of the Hands: a lesson in knots. Nowadays, with shoes using Velcro, many young people are not even able to tie shoe laces. I have always liked tying knots. I once received the Ashley book of knots as a birthday present. 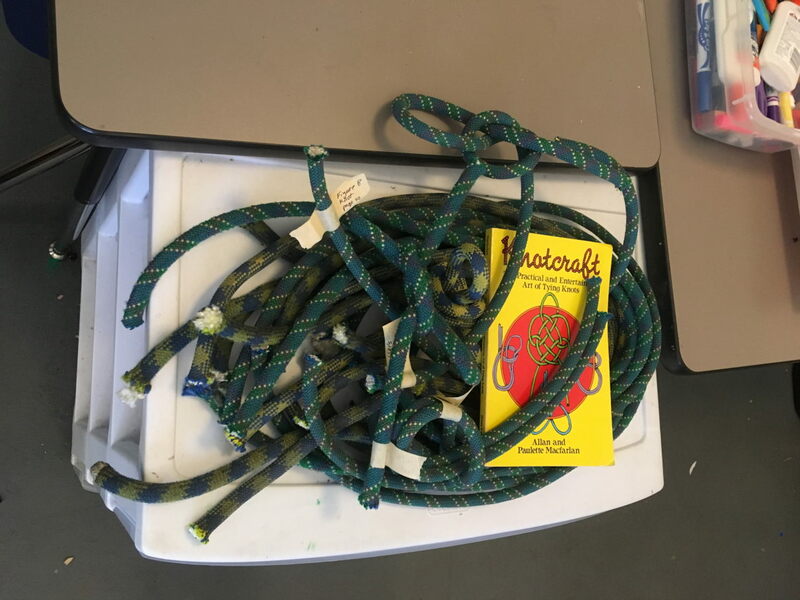 To learn tying two ropes together, is is easier with different color ropes. Now I must admit that I use a limited number of knots in the day to day life. Usually, a good knot is a knot easy to untie after it has been under tension (and some times under tension). Recently, Jack MCKEE published a blog about a "rope making machine" :https://woodshop4kids.com/free-plans-the-rope-machine/. It is a simple project which uses wood.